John’s Automotive Care is your best choice for Saturn service and repair in San Diego. It doesn’t matter if you own the Saturn Sky or Saturn Outlook. 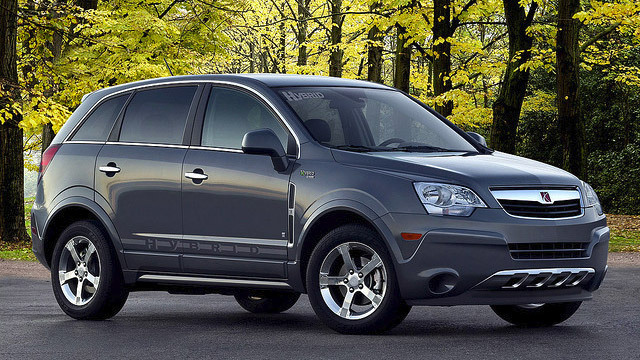 Our auto mechanics are experienced and educated at servicing virtually all makes of Saturn vehicles. Since 1998, we have been the go-to source for any and all auto repair in San Diego and the surrounding communities. We want to keep you and your Saturn cruising on the San Diego roads as long as possible. Our auto mechanics will carefully examine your Saturn for any symptoms of disarray. If we find an issue, we will explain to you the “what, why, and how.” We are skilled at repairing even the toughest of problems, and a 36,000-mile/36-month warranty backs all our work. At John’s Automotive Care, you can count on auto repair to performed quickly and accurately. When your Saturn is in the shop, you can’t help but worry. Unfortunately, some auto repair shops have a reputation for providing less-than-stellar service. We are putting an end to that stereotype, one Saturn at a time. We will be honest and upfront with you, even showing you detailed photographs of our auto mechanics in action. If an auto repair can wait, we will let you know, and if a fix can’t, you will also know. We are on your side. Call John’s Automotive Care today , if you have specific questions about your Saturn or would like to schedule an appointment. Our auto repair shop is located at 6267 Riverdale Street in San Diego CA 92120. We look forward to securing the longevity, driveability, and safety of your beloved Saturn.